On Saturday, (24 June), First Event took part in Total Warrior to raise money for the Make-A-Wish Foundation. Total Warrior is a 12km run with challenging obstacles along the way and took place at Bramham Park in Leeds. The agency managed to raise over £1,200 for Make-a-Wish Foundation. 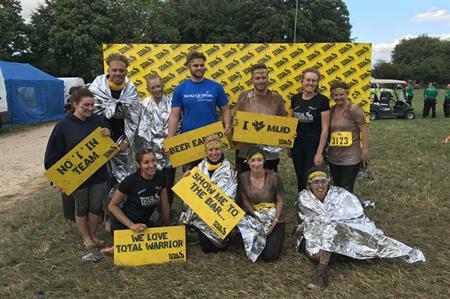 Commenting on the day, PR & communications executive, Stephanie Caldecott said: “We’ve all had an amazing time fundraising and taking part in Total Warrior – it was so much fun! It’s incredibly rewarding to be able to spend quality time outside of work with colleagues, and raising the amount of money we have for an amazing charity makes it all the more worthwhile.